Dr. Richard Sparks is committed to frequent continuing education & to providing the latest advances in dental procedures to his patients. His experience and technical abilities allow him to combine the art & science of modern dentistry while also achieving his patients personal needs. Dr. Sparks obtained his doctor of dental surgery (D.D.S.) from UTDB-Houston in 1996 & has been in practice in the Friendswood /Clear Lake area since 1998 . 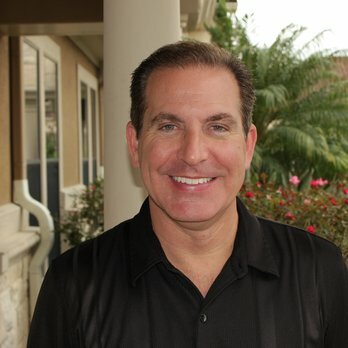 He has acquired over 220 hours beyond basic dental school at the Las Vegas Institute for Advanced Dental Studies since he began attending in 2004. While at LVI, Dr. Sparks went through intensive training to be able to evaluate, diagnose and complete difficult restorative cases. He has the special skills to help patients not only look good, but feel good as well. He has also acquired the clinical hours & completed necessary patient cases to gain his fellowship at the International Association of Orthodontics. Dr. Sparks is an active member of the following: the American Dental Association, Texas Dental Association, International College of Cranio-Mandibular Orthopedics,The International Association of Orthodontics & the Greater Houston Dental Society. It is his goal to offer the best possible care to his patients through commitment to continuing education in advanced dental studies. His goal is to create natural & functional restorations that compliment the surrounding tissues as well as the overall bite. Dr. Sparks' outstanding skill & perfectionist attitude along with a humbled personality make him the most desirable dentist in the area. what makes us different?